An eclipse-chasing psychologist is coming to the US to launch her book and share personal stories of what it is like to experience a total eclipse. And her message is clear – don’t miss this. Talk to any eclipse chaser, and they will tell you that the total eclipse is one of the world’s most fascinating and awe-inspiring natural phenomenon. Yet it is very hard to convey what it is like to those who have never seen one before. How does one describe the indescribable? “During a total solar eclipse, you experience the impossible. It is an exhilarating, eerie and moving experience. 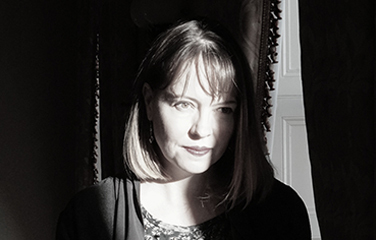 Changes occur above you, around you, and within you”, explains Dr Kate Russo, an Australian eclipse-chasing psychologist based in Belfast, Northern Ireland. Dr Kate Russo is unique as an eclipse chaser as she has a background not in astronomy – but in psychology. Since seeing her first total eclipse in 1999, she has traveled the world and has now seen 10 total eclipses. She researches and shares different aspects of the total eclipse – from how communities prepare, the motivations of eclipse chasers, to what it is like to experience the total eclipse for the first time. She is a regular in the media before every eclipse, and has surveyed and interviewed hundreds of people before and after a total eclipse. No one understands more about the human experience of totality. To help share personal stories, Russo has just launched her third book, Being in the Shadow: Stories of the First-Time Total Eclipse Experience. This non-fiction book features stories from six ordinary people, and is aimed at ‘eclipse virgins’ – those who have never experienced a total eclipse. This includes all Americans under the age of 40, and most above. This is not your typical ‘how to see an eclipse’ book. Russo is known for being a passionate and inspiring speaker, making the eclipse experience come alive and leaving her audiences wanting more. She is soon traveling to Nebraska from 17-28 June to deliver public lectures and to promote her new book. Signed copies will be available at all of her events. She will be viewing the total eclipse on August 21 from Teton Village, Wyoming, where she will again be leading a small group of international eclipse chasers with her tour group The Independent Traveller. 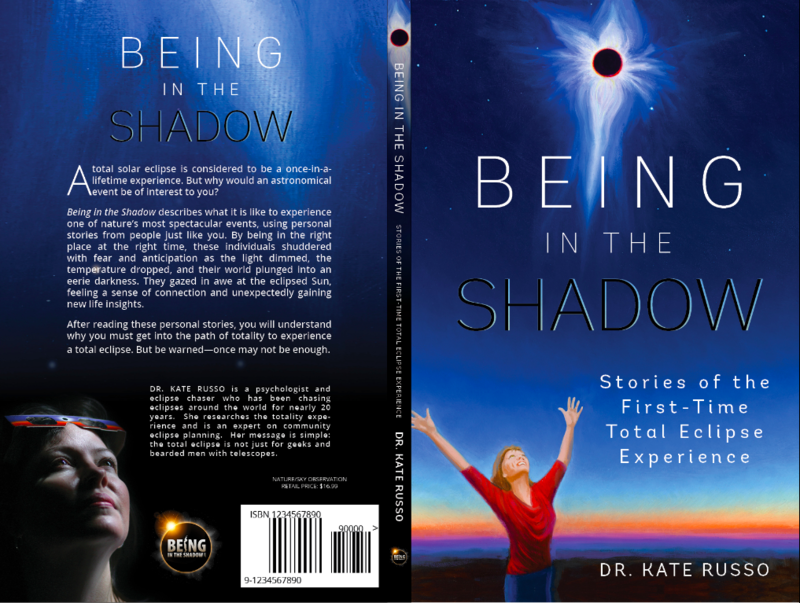 Being in the Shadow: Stories of the First-Time Eclipse Experience can be purchased on Amazon.com for $16.99 for paperback, and $8.99 for the ebook, which can also be downloaded directly from the author website. Email for bulk orders and journalist review copies.